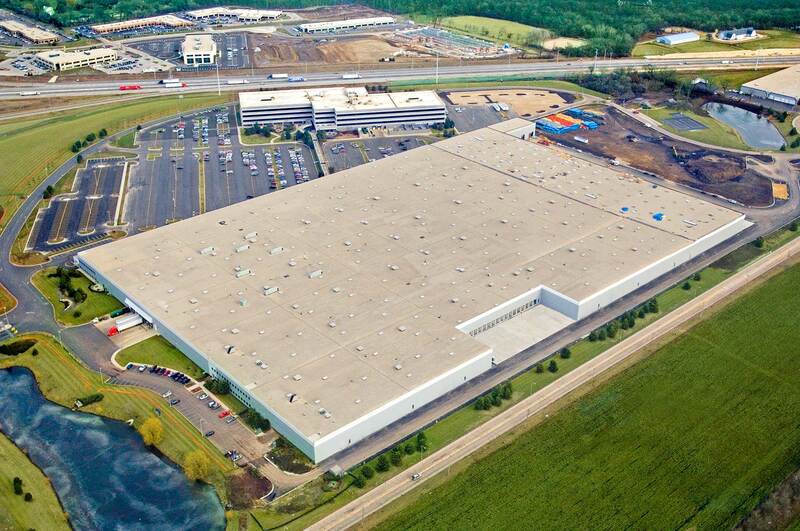 McShane Construction Company was selected to provide the comprehensive construction services for the 1,200,000-square-foot corporate headquarters and processing/distribution facility for John B. Sanfilippo & Son (JBSS) in Elgin, Illinois. The project included the renovation of an existing 72,872-square-foot office component and 592,704-square-foot warehouse. McShane constructed a 347,000-square-foot addition for the firm’s food processing area that includes two refrigerated coolers totaling 132,000 square feet. The warehouse/manufacturing addition features a 32′ clear height, 68 truck docks, three drive-in doors and new surface parking for 591 vehicles. JBSS is an integrated manufacturer of packaged and bulk snack food products including popular brands, such as Fisher Nuts.